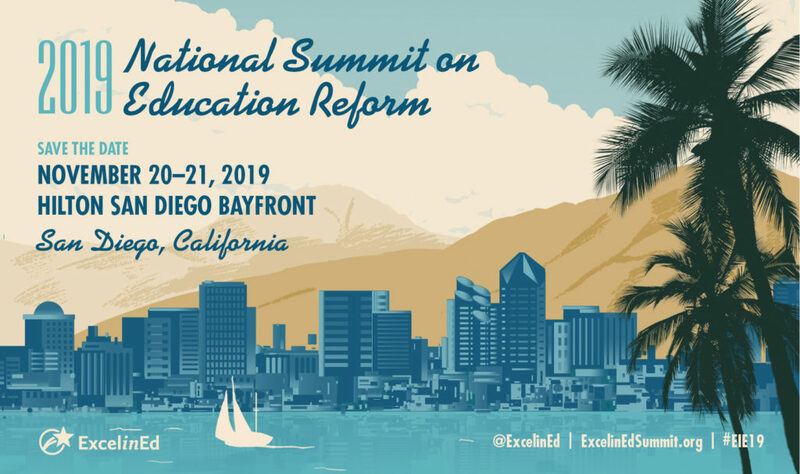 Organized by ExcelinEd, the annual National Summit on Education Reform is the nation’s premier gathering of education reformers. It provides state and local policymakers, education leaders and advocates with comprehensive information on evolving laws, new trends, successful policies and the latest innovations that are transforming education for the 21st century. By learning what is working—and not working—in other states and school districts, attendees leave the National Summit armed with the knowledge and networks to advance bold education reform in their states. This uncommon conference annually serves as a catalyst for energizing and accelerating the reform movement across the nation. In 2017, the National Summit on Education Reform celebrated its 10th year at our event in Nashville, Tennessee. We look forward to many more years of advancing opportunity, innovation and quality in education! 2018 – Washington, D.C. 2017- Nashville, TN 2016 – Washington, D.C.
2012 – Washington, D.C. 2011 – San Francisco, CA 2010 – Washington, D.C.